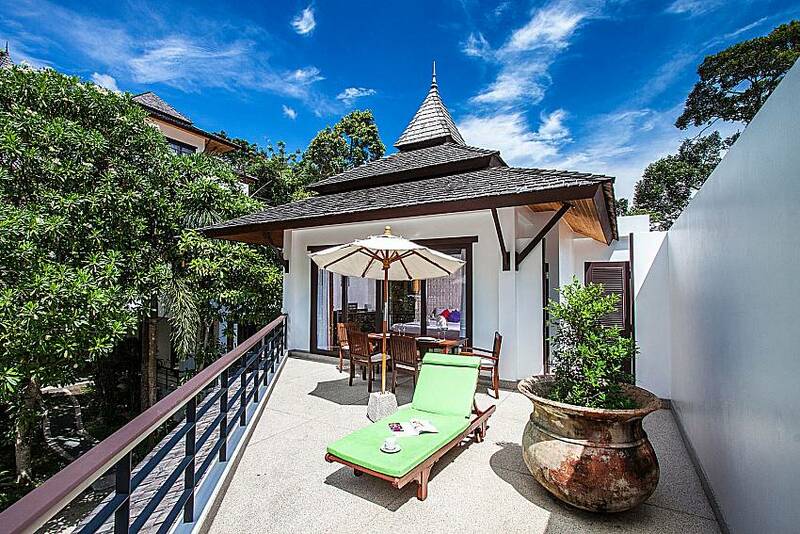 Part of a splendid estate with striking facilities, the luxurious 1-bedroom villa with its own gated entrance provides every amenity for a dream-like holiday, whether you wish for a quiet romantic or fun active getaway. 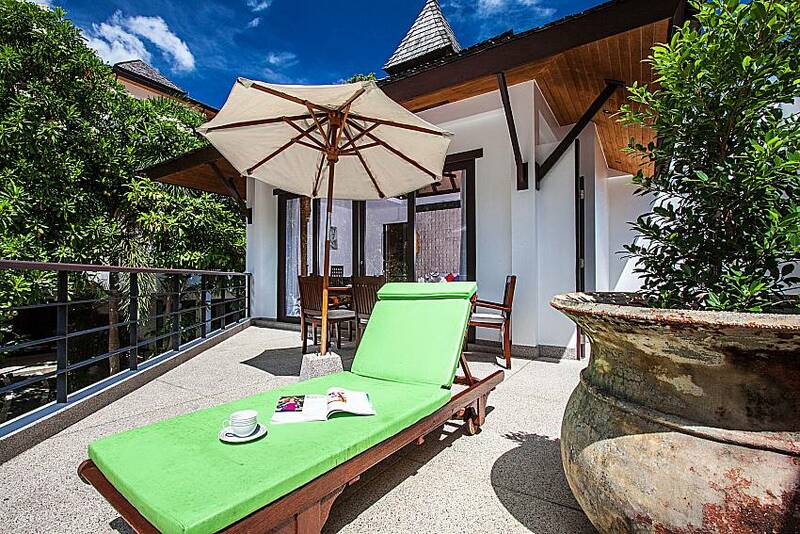 The studio’s perfectly utilized space includes a private balcony with a table for 4 plus a sunbed with an umbrella; here you can hear a calming low sound of waterfalls from the pool. 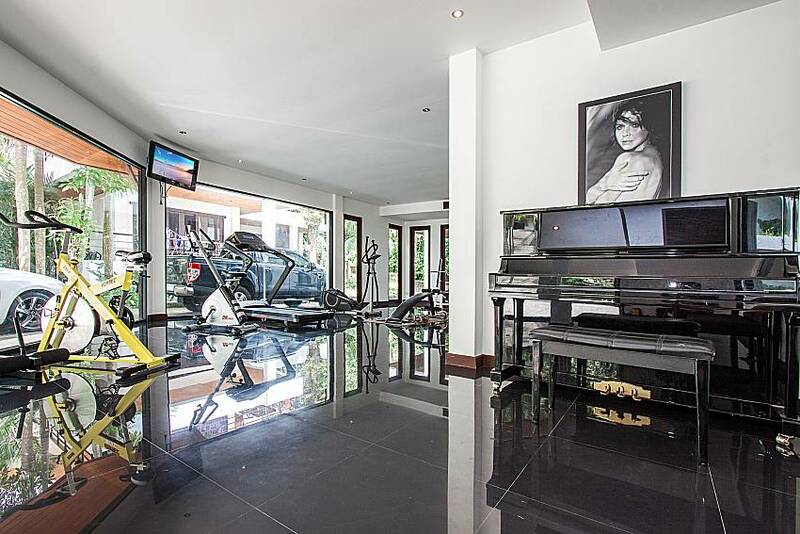 There are 2 pools at the property in total, as well as a gym and a massage room, all made up with convenience and enjoyment in mind. 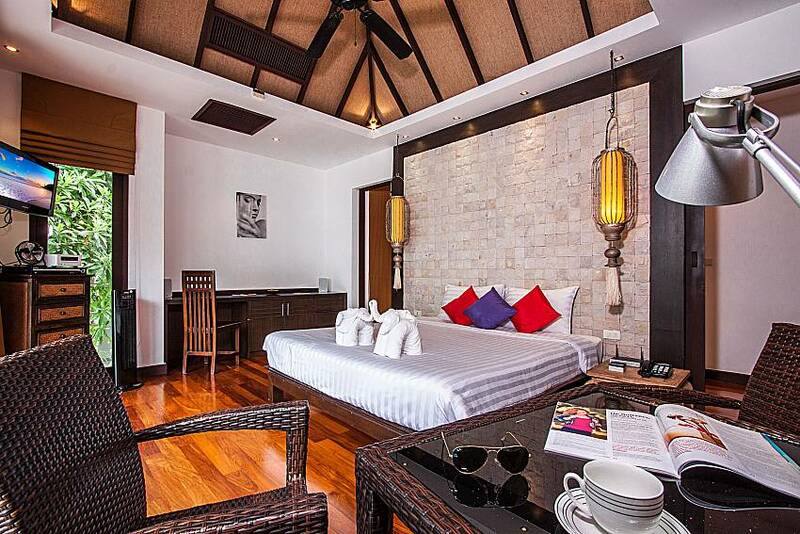 Inside the bedroom there is a king size bed and a dining table for 2, large wardrobe, small office space, and an entertainment system that includes TV, DVD player and a music player for iPhone with USB ports. 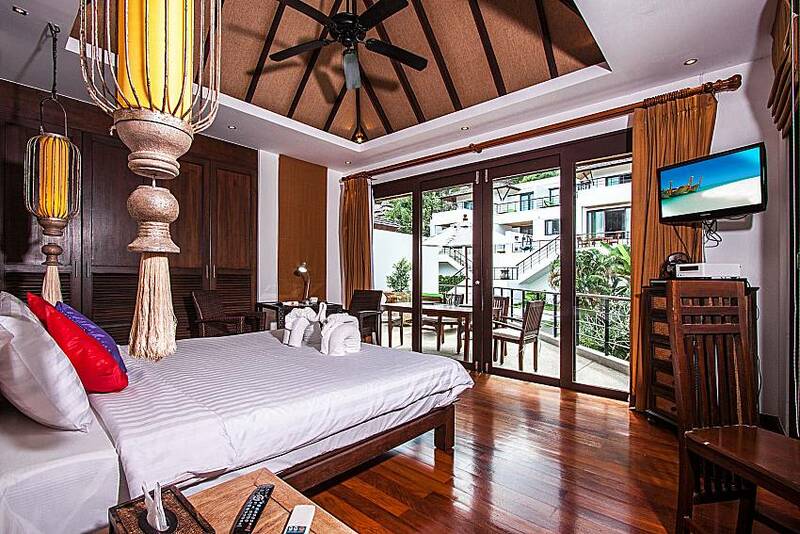 The room has several cooling options – a ceiling fan, regular fan and an A/C. 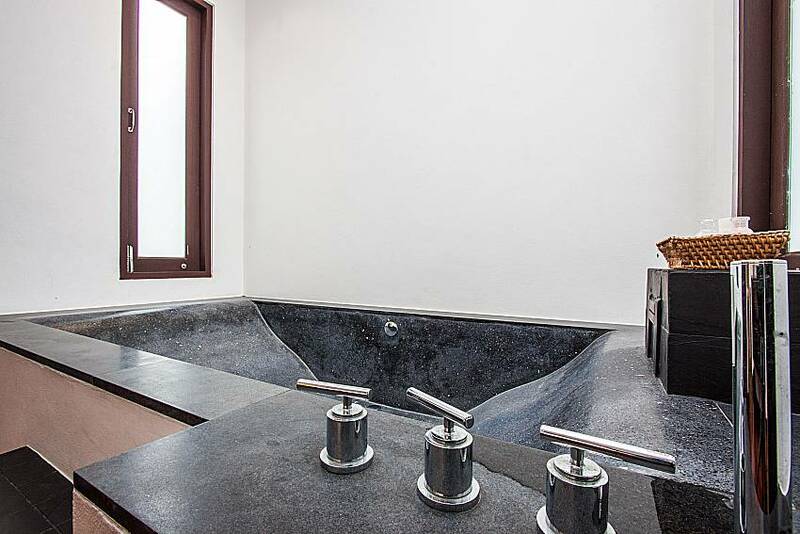 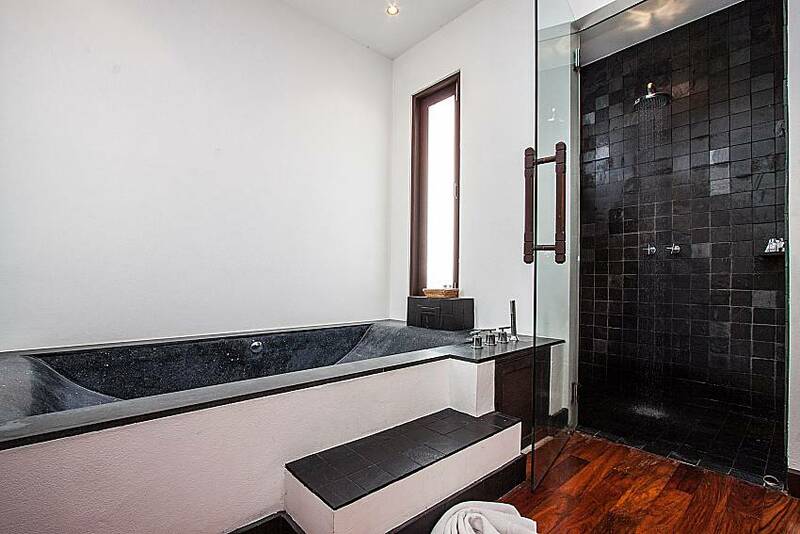 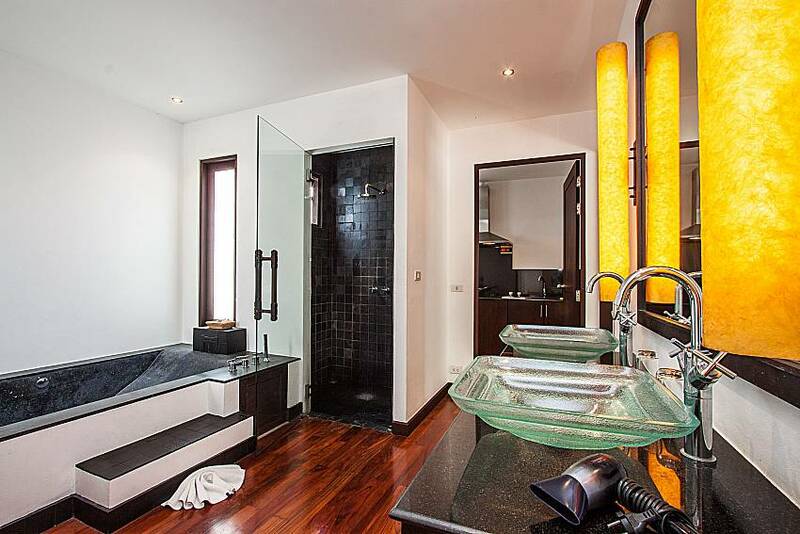 The spacious bathroom is located behind the bedroom and it features a black granite bathtub, rain shower, 2 basins, toilet and a hair dryer. 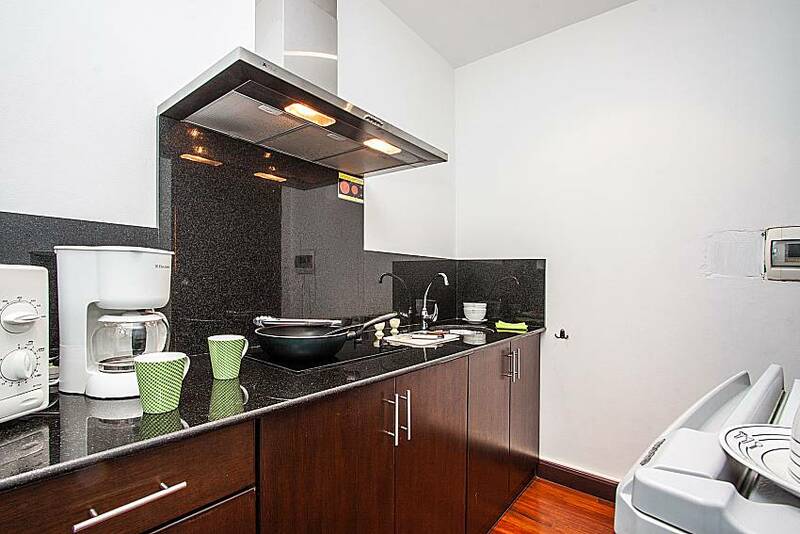 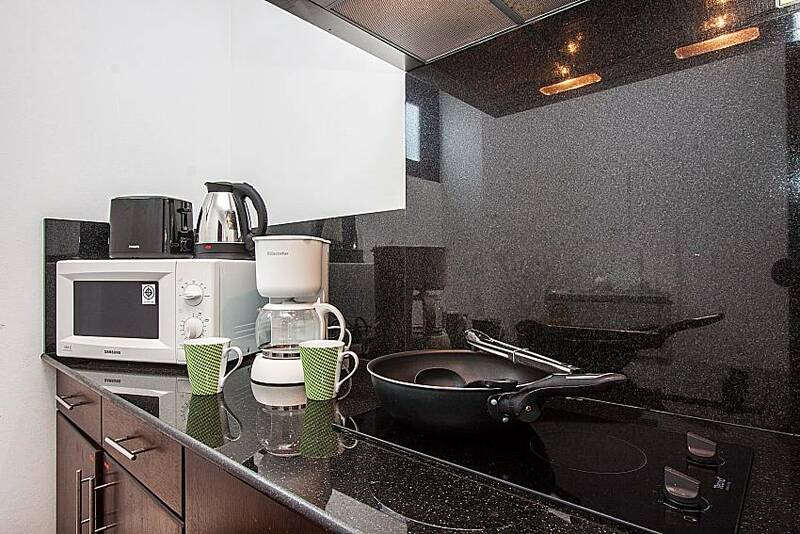 Next to it is the fully equipped kitchen that includes everything from a stove and fridge to the microwave and coffee maker. 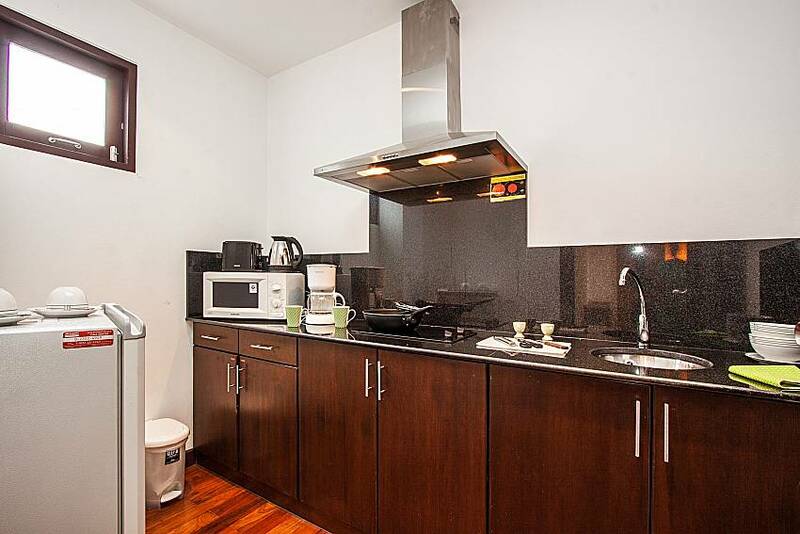 Everyday maid service and free Wi-fi are included. 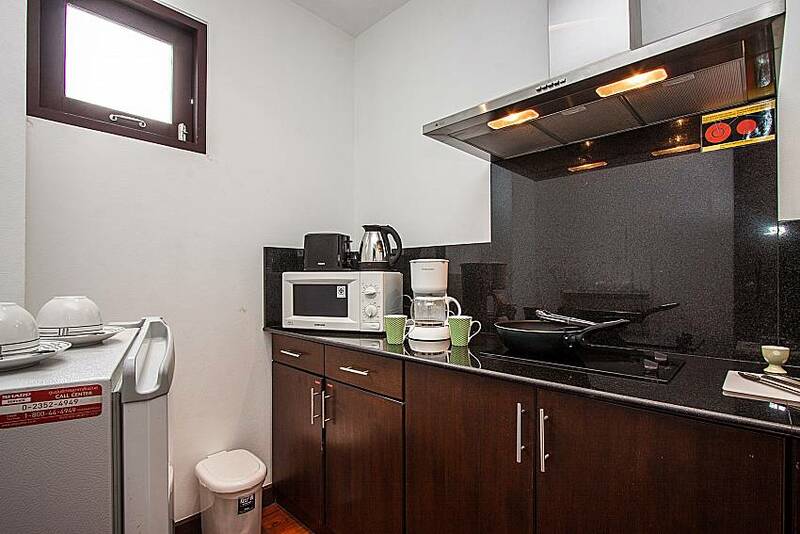 Note that there are 3 neighbouring 1-bed units* that could also be rented (*with some feature differences). 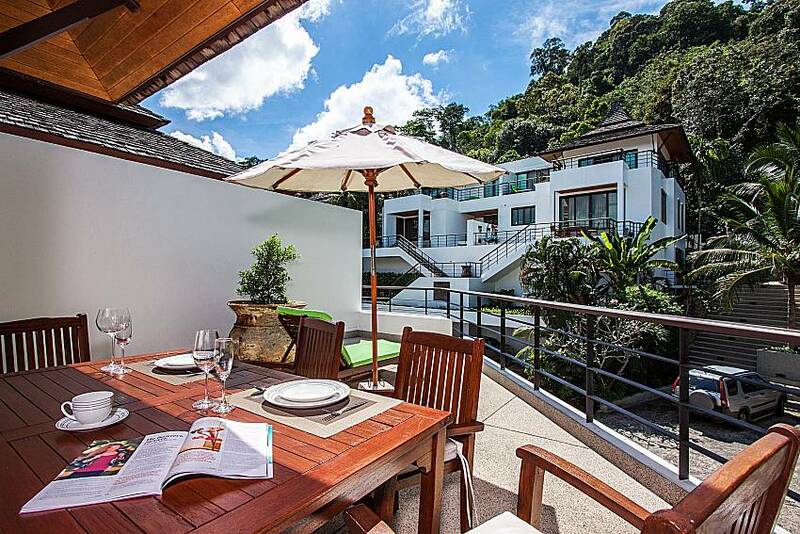 About a 50 minute drive from Phuket International Airport, this luxury studio is in a serene tropical setting in western Phuket. 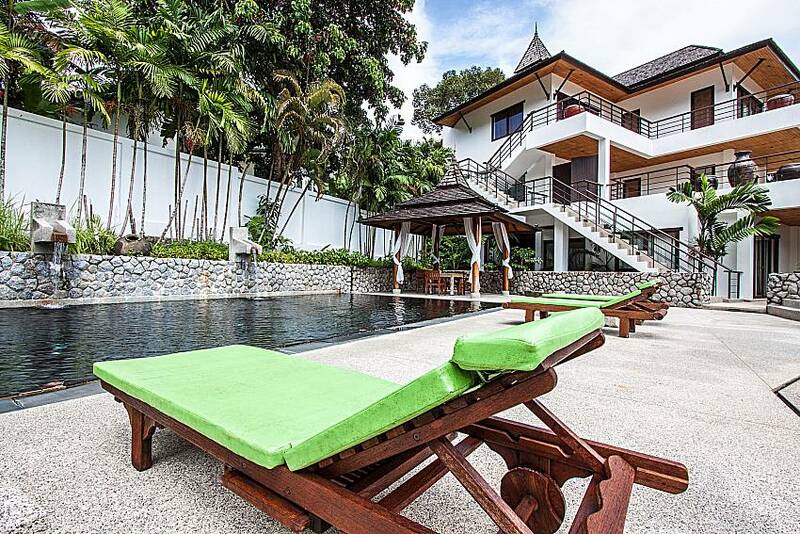 Kathu boasts many fun sites, all within 2-4 km from the complex, such as Phuket Wake Boarding and Patong Go-Kart Speedway.The nearest beach, Patong Beach, is 7.3 km away. 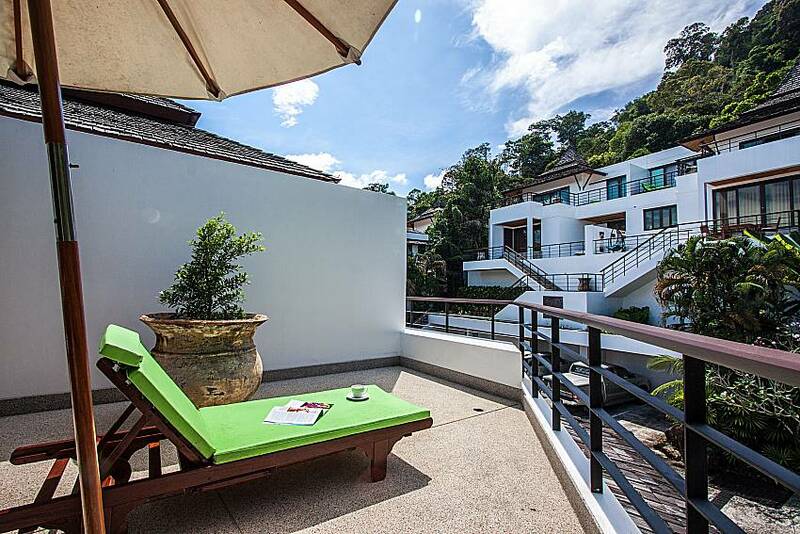 Phuket Town with many attractions, like Phuket Weekend Market and Old Town, is about 11 km away. 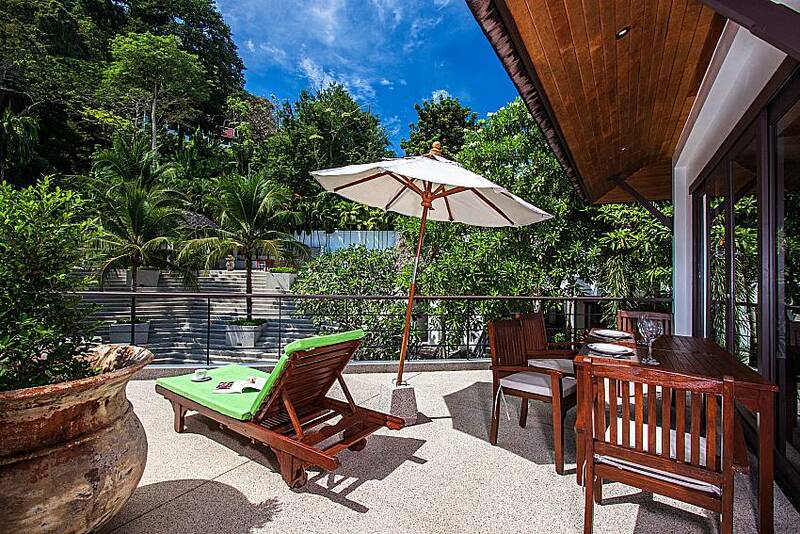 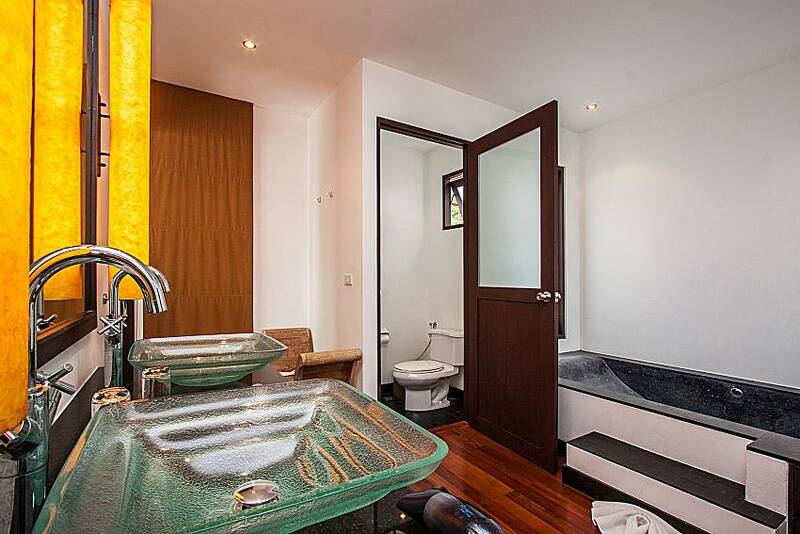 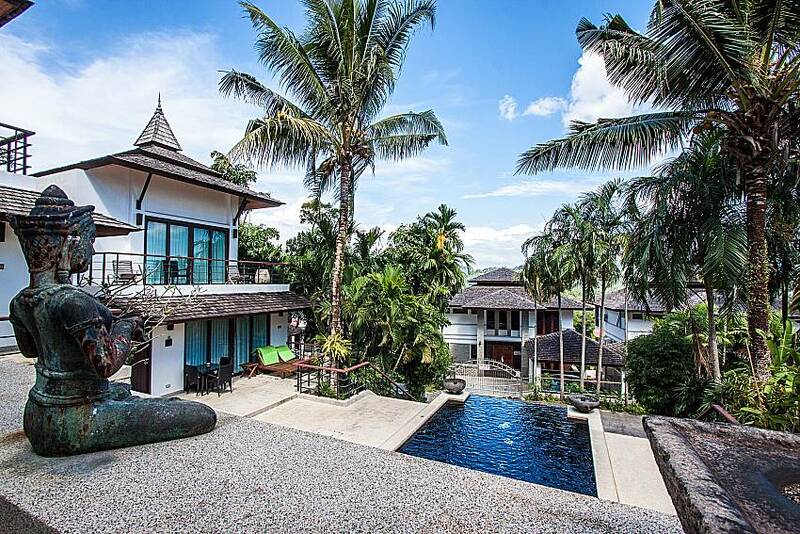 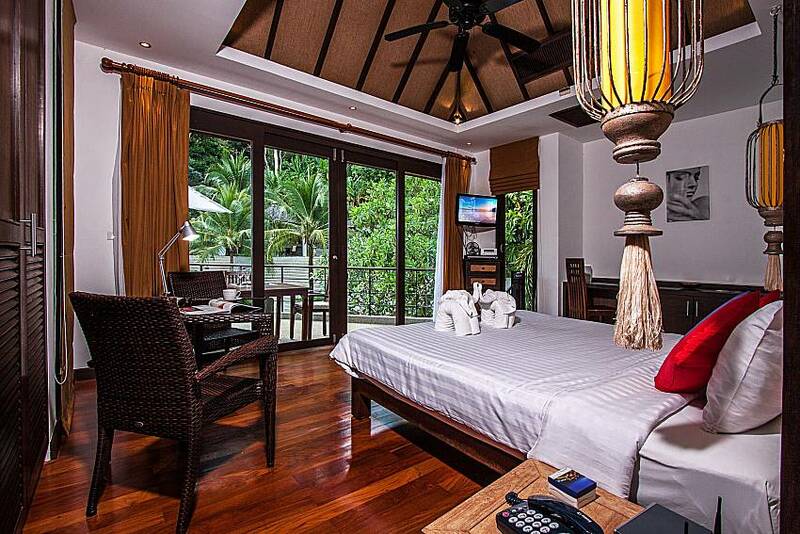 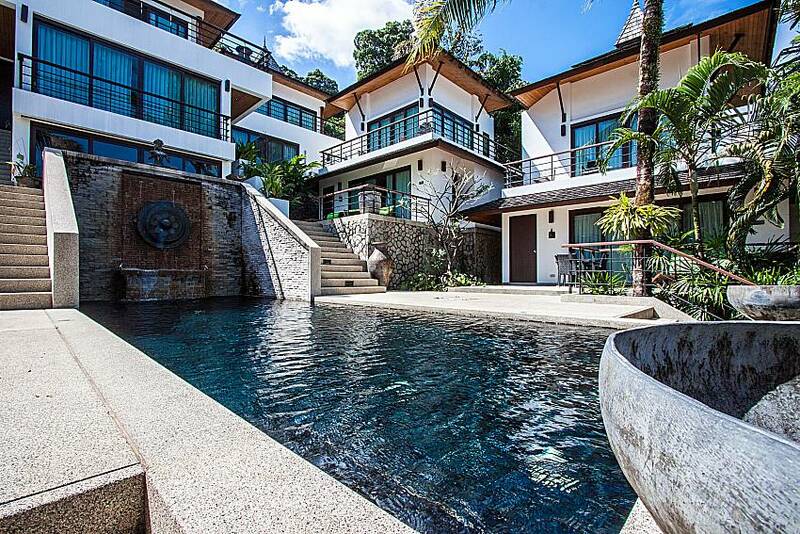 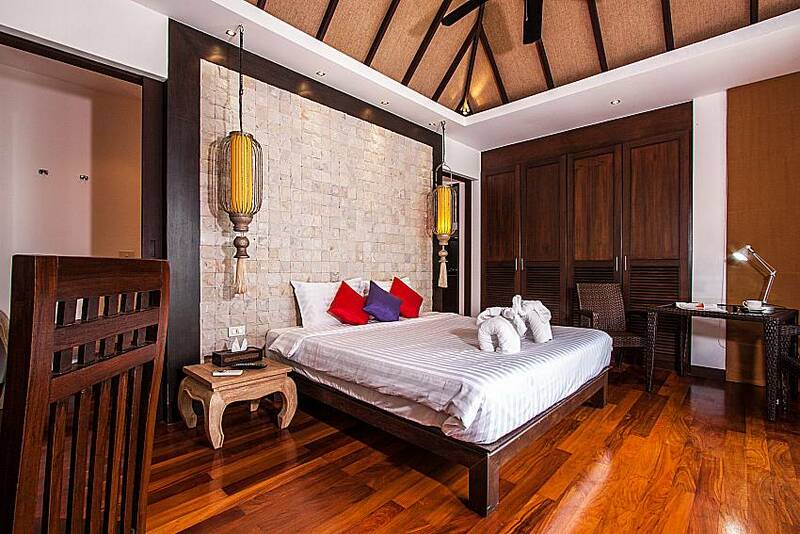 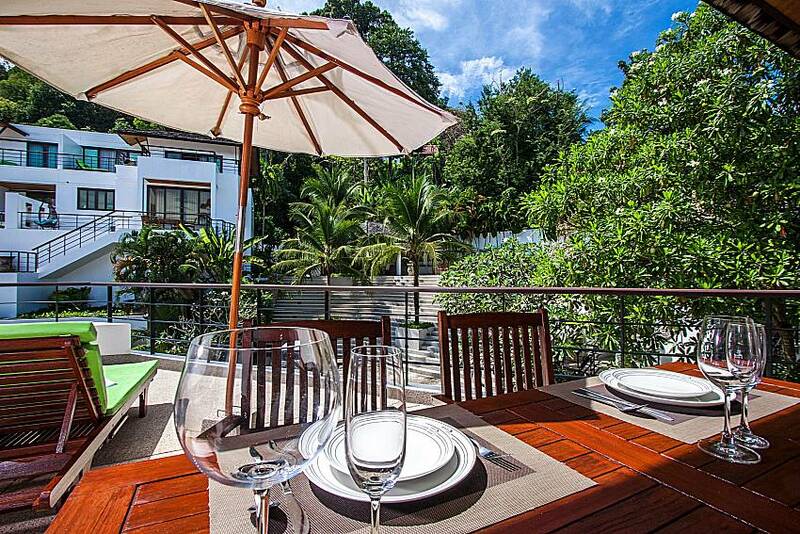 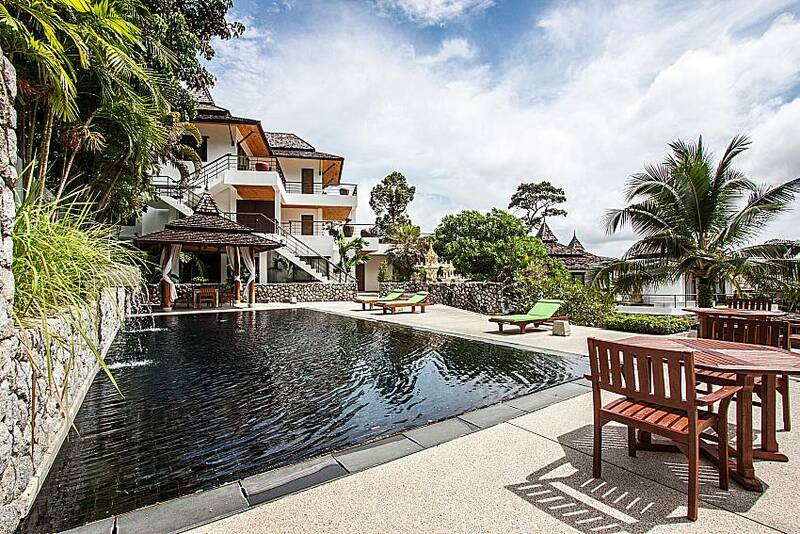 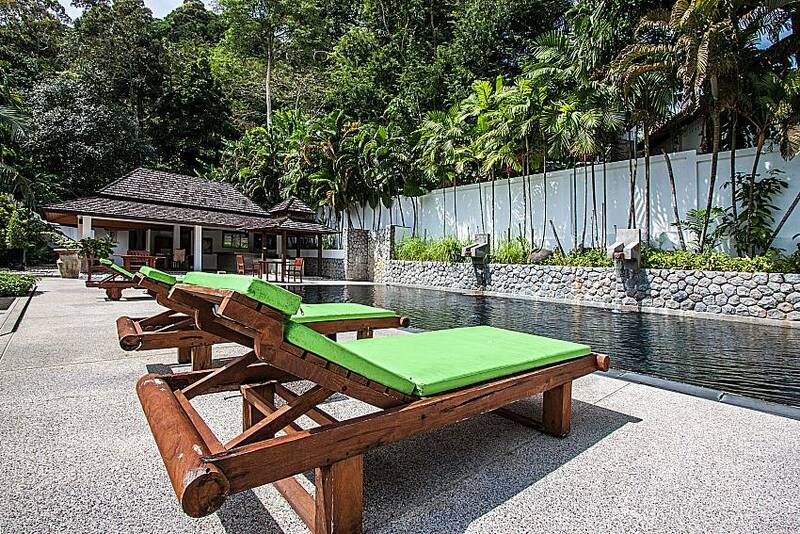 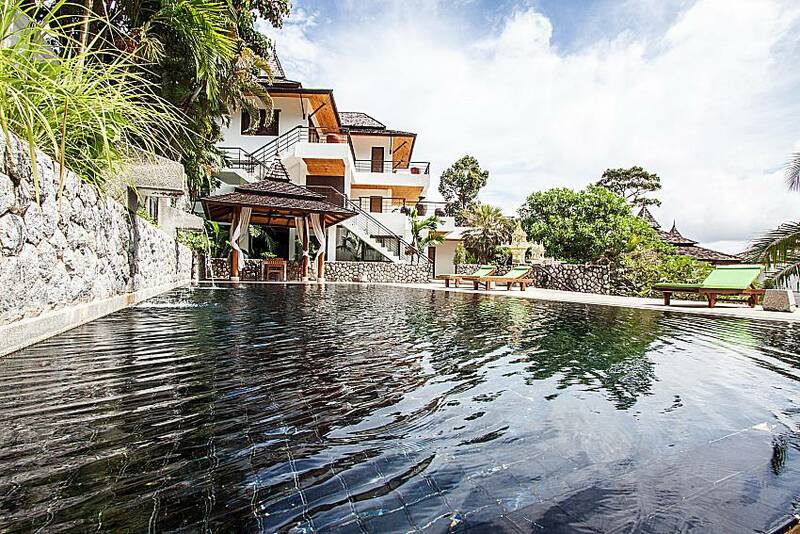 Click here and check out more of our Phuket villa rentals.